Time Travel, Lost Pirates, and Annoying Little Brothers! There is no escape from responsibility...even on vacation. That doesn't stop 13 year-old Rachel from trying. A day of surfing, away from all five of her younger brothers, is meant to reward Rachel for all of her hard work at home. Instead, it turns into the greatest adventure of her life. A wipeout catapults Rachel and her surfboard to a strange part of the ocean, far away from land and her family. Rescue arrives, or so Rachel thinks, in the form of an old sailing vessel. She quickly realizes that her heroes are lost pirates, some of which regard her as a threat, others which believe her to be their own rescuer-The Pirate Bride. Voyage with Rachel as she applies her experiences with her rowdy brothers to the task of earning the pirates' trust, at the same realizing that even her unruly siblings aren't as bad as a ship full of lost pirates. 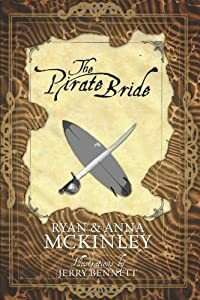 "The Pirate Bride" is an original story from the imagination of ten year-old Anna McKinley and brought to the page with help from her father, Ryan. Adding to the magic and wonder of the story are beautiful, pencil sketch illustrations by the artist Jerry Bennett. 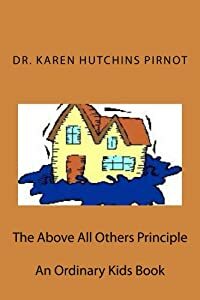 Funny, moving and thoughtful, "The Pirate Bride" will enthrall readers of all ages as they discover, along with Rachel, that family can be the greatest treasure. Earthquakes shake Castle Belamor and repairs are costing Princess Cecile a fortune in gold. A neighboring king offers financial support in exchange for her hand in marriage. But Cecile is determined to find her own solutions. Deep in the caves of Belamor she discovers the heart of the problem. A dragon is waking from five hundred years of slumber. 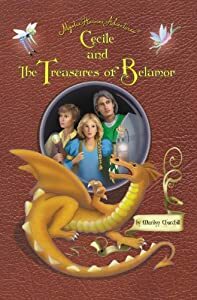 Cecile and her friends must decide whether to put the dragon back to sleep or lead him through three doors to freedom. The mysterious caves hide suspicious dwarves and secretive fairies. And an ancient rivalry between two powerful wizards has been rekindled. Even her trustworthy friends have opposing agendas. But friend or foe, they all play surprising roles in the many twists and turns of this fast-paced adventure. This is the second book in the Mystic Heroine Adventures® series that began with Cecile and The Spider Queen. Assassin Robots. Zombie Carp. Rabid Leprechauns. They were all waiting. Waiting for Tucker McTeal and his pals in Tucker’s basement. It was the traditional end of the school year video game marathon and it had the possibility of being the best sleepover ever. But the events and consequences from that fateful night changed everything. A sudden summer storm. Orphaned baby crows. What Tucker thought was a curse becomes a gift that reconnects him with his friends and his neighborhood. He is about to have the kind of summer that will stay with him long after the last green leaf has turned golden. 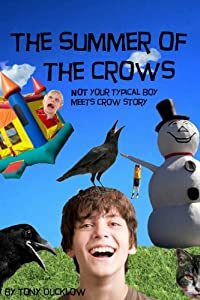 Follow Tucker and his pals as they take a hair-raising ride in an inflatable castle, battle the legendary wildcat Evil Caesar, and discover that crows might be the most intelligent animals on earth. Eight year old Allie Henderson returns home from school early to find a note from her mother saying she has taken Allie's brother to the hospital for safety and will return to pick up Allie soon. Allie hears a roaring sound and goes to the front door and opens it, only to be caught up in the flood waters which have resulted from days of rain. Allie is initially terrified until she remembers to use her grandfather's practical principles to help guide her through to safety. Then she meet Tula, a blind African-American woman who is alone and lost and in need of assistance. Together Allie and Tula make their way to Tula's house where Allie's nightmare threatens her very survival.